What did you think of 6x01, The Date Night Variable? Sheldon was sitting on the bench in the hall way he see's Penny and says"Oh hey".So Penny come's over and says"You allright" Sheldon groaned.So Sheldon said"can you go get Lenard?" "Ok"replied Penny so she goes off.Penny got Lenard so Penny took Lenard to Sheldon and Lenard says"What's wrong?" 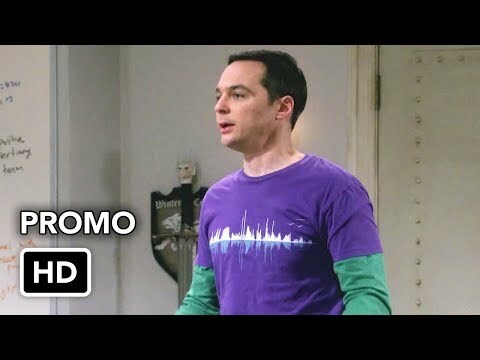 Sheldon replies"Can you look at my logic book plz".So Lenard looked at his book and Lenard said,"wow" awnser some questions plz.So Lenard awnser questions and said"I know this one it is 8"
Sheldon is in his spot reading scientific american when Amy comes in and says "WHAT ARE YOU DOING IT IS ARE ANNIVERSARY. YOU WERE SUPPOSED TO BE AT THE RESTAURANT AN HOUR AGO!!!!" Amy lets herself in sits on the couch and says "Sheldon is jerk and I'm never speaking to him again"
a video was added: The Big Bang Theory 12x20 Promo "The Decision Reverberation"
a video was added: The Big Bang Theory 12x19 All Sneak Peeks "The Inspiration Deprivation"
a video was added: The Big Bang Theory 12x19 Promo "The Inspiration Deprivation"
who calls penny her bestie? reply fast and get back to me!